In the early jurassic, about 200 million years ago, a shallow inland sea covered much of southern China. Rivers flowed into it, and on their floodplains lived prosauropods, a group of large plant-eaters that came before the sauropods. 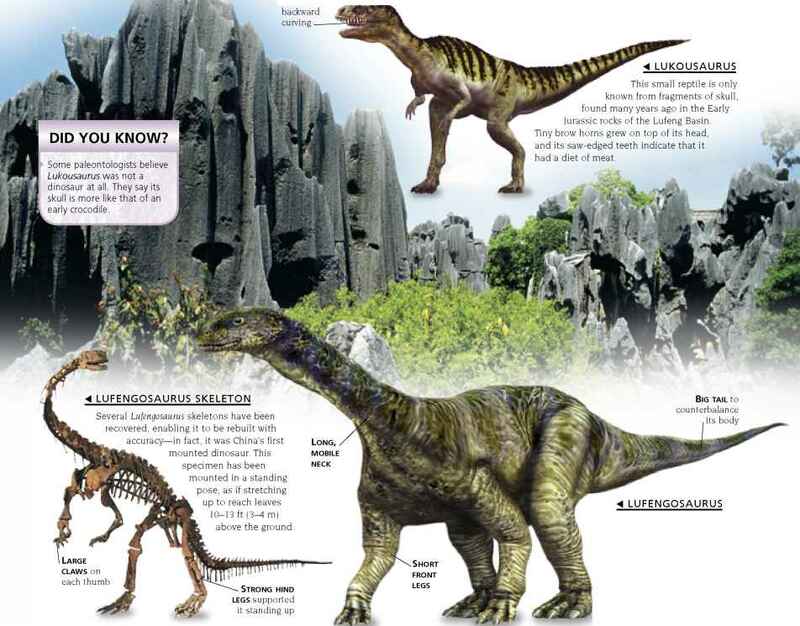 It was the discovery of one of these Lufengosaurus, that alerted the world's paleontologists to the importance of the Lufeng Basin rocks, where red-colored sandstones, mudstones, and shales had built up to a depth of 3,280 ft (1,000 m). About 12 Early Jurassic dinosaur species have been found here, which has led to the region becoming known as China's "dinosaur homeland." 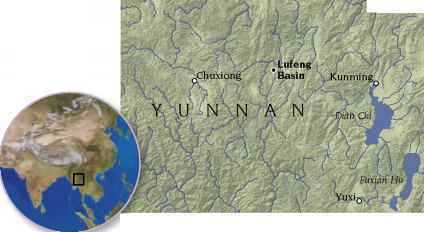 The Lufeng Basin is in Yunnan Province, southwest China. 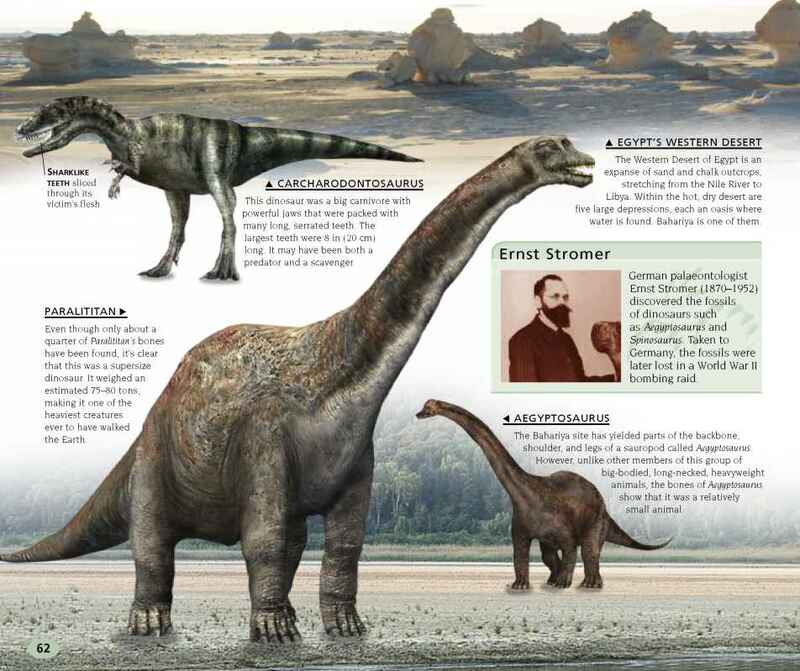 Dinosaur fossils were first found here in the late 1930s. This dinosaur was a prosauropod. It had small, flat teeth with serrated edges, which were well designed for shredding vegetation. It's thought Lufengosaurus walked on all fours, and could stand on its hind legs to reach plants growing high up.